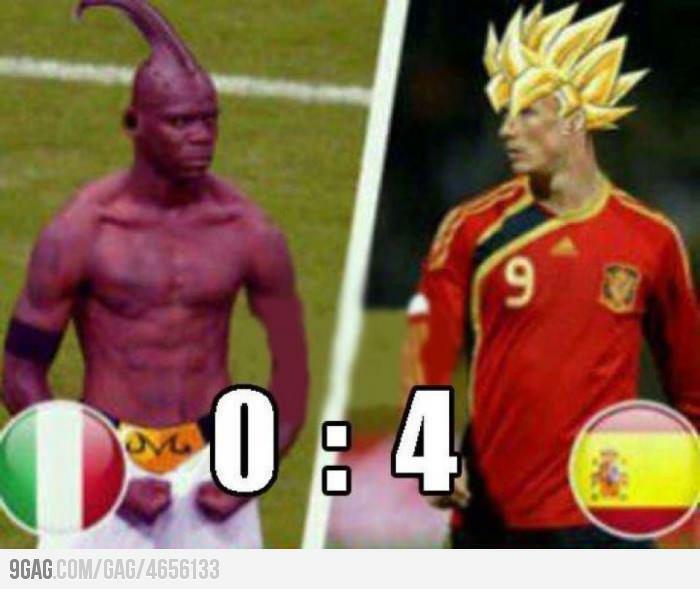 That awkward moment when Mario Balotelli becomes Super Buu. Saw this on 9GAG and I can’t help it but to share it here. For those of you who don’t know, Spain trashed Italy 4:0 in the finals of Euro 2012 yesterday and suddenly, Torres becomes a Super Saiyan. Post your comments below!